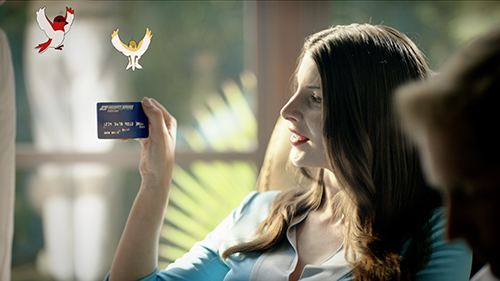 These recent SSFCU spots were a blast to help create. The Power Tales campaign features iconic fairy tale women in a modern environment; extolling the virtues of banking with SSFCU. There’s Little Red Riding Hood – evading the Big Bad Wolf, Snow White – lovingly accompanied by her birds, Cinderella – blinged-out and bankrolled, and Rapunzel – nestled away in her ivory tower. Working closely with the creative at Greatest Common Factory, we stylized each character with their own unique look. Nick Smith provided color for the 5K Red Dragon footage, bringing out various warm and cool looks, each with rich contrast and depth. VFX on Snow White were provided with a team of 2D cel animators from Aphid Animation, some CG work from Josh Johnson for the Rapunzel tower shots and Big Bad Wolf, and some 3D animation from Brad at Perfect Form. Additional 3D, VFX cleanup and finishing was done in Autodesk Smoke with Nick. The second round in this campaign features mock-pharmaceutical ads, all in the name of Power Rewards. Color, VFX and finish by Nick. Finland Finish is a post production studio located in Austin, Texas. © Finland Finish. All Rights Reserved.